1. Don’t peel the skin off fruits and veggies (especially if they are organic!). 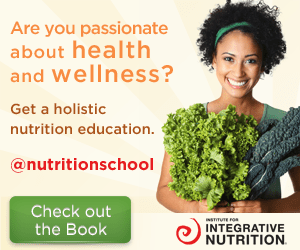 The skin is where all of the nutrition is!! Consider this – if you were a piece of fruit and needed to protect yourself from invaders (bugs) and outside influences that could mess with your growing process (temperature/toxins), chances are you would store all of your best defenses in your skin. 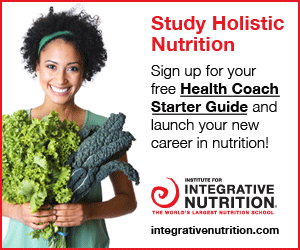 These defenses that help keep fruit/veggies healthy and safe (antioxidants, nutrients, vitamins, minerals, etc.) are also what help defend us against our environment! *With that said, I definitely recommend peeling the skin of conventionally grown produce that shows up on the dirty dozen list. 2. 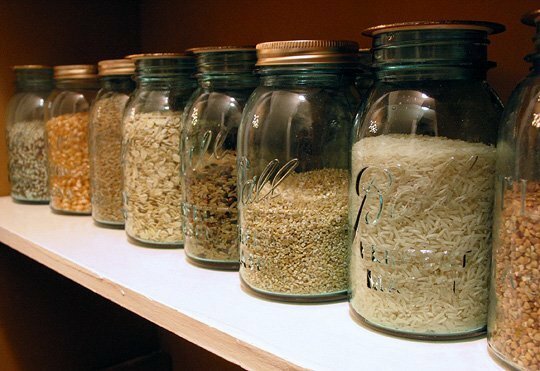 Reuse glass jars. Finished with your jar of salsa? Instead of tossing it in the recycling bin, hang onto it to keep leftovers, store dry grains or to offer your friend a smoothie for the road! 3. Use parchment paper. Tired of soaking and scraping baking sheets after roasting spaghetti squash or baking cookies? Simply line the baking sheet with parchment paper and toss it after the baking is done. Sometimes I’ll even use the same sheet 2 or 3 times if its a clean bake or if I am just heating something up. 4. Freeze brown bananas (or any other fruit/vegetable that is about to turn). Cutting down on waste is important, and to help you use everything you bring home from the store or farmers market, use your freezer!! When bananas are starting to turn, I peel them, slice them and store them in a plastic container in the freezer so they can be added to smoothies or thawed and used for baking. You can use this same technique for pretty much any fruit or vegetable. 5. 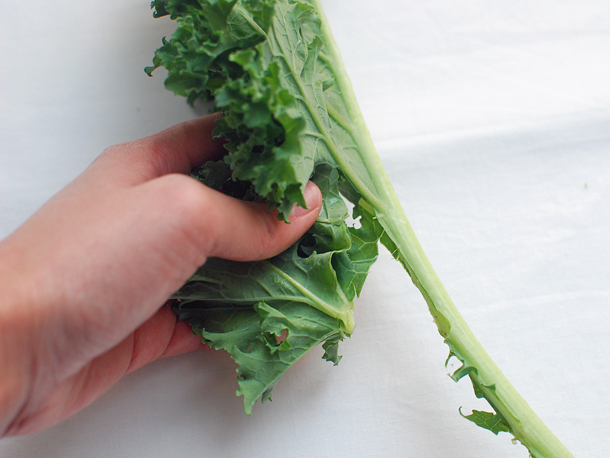 Use your hands with leafy greens. Who needs a knife when your hands can do the same job!? Instead of slicing out the stem and chopping up a leafy green with a knife, use your hands to tear the leaves from the stem and again to rip the leaf into bite size pieces, either for a salad, a smoothie or to store in the fridge and enjoy later. This saves time and lessens chances of an injury. 6. Smash garlic to get the skin off. This trick was a real game-changer for me. 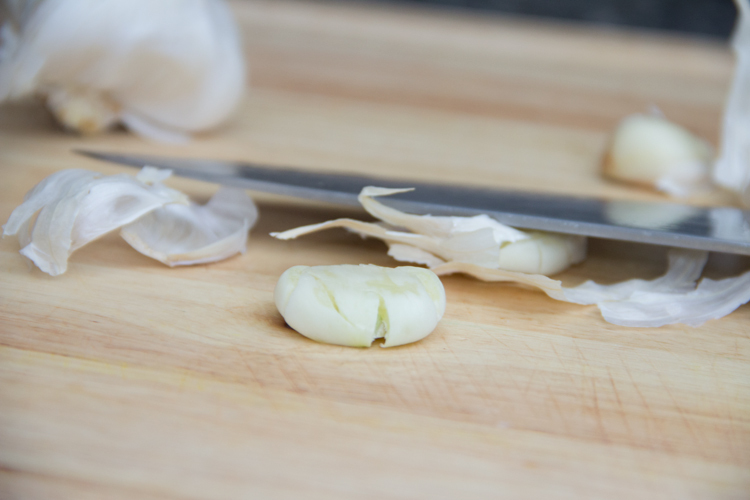 Instead of wasting time peeling the skin off of a clove of garlic, use the side of your knife and push down on the clove, smashing it. Once smashed, the skin peels off extremely easily, saving your time and annoyance. 7. Open a can of beans from the bottom. I don’t always have time to cook dried beans and often keep a few cans of beans in my pantry for last minute meals (I prefer Eden Organic because they come in BPA free cans). Opening cans upside down prevents the struggle to get out the beans stuck on the bottom (which are often stuck there from sitting on the shelf). 8. 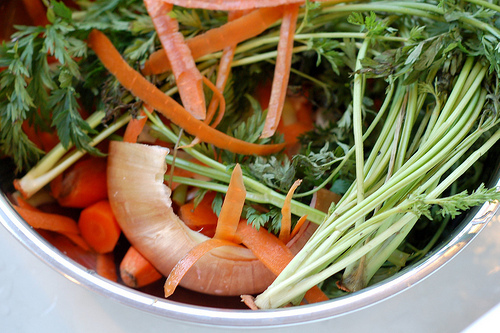 Keep a garbage bowl on the counter (especially if you compost). Instead of walking back and forth to the garbage while you are cooking or making a mess on your counter top, simply toss all food scrapes into a bowl – this helps keep your work space neat and can gather all compostables in one place. 9. Store apples away from other produce. Apples give off a gas that causes other produce to ripen faster, so try and give your apples their own space on the counter or in your fridge. On the other hand, if you want to speed up the ripening process of an avocado, place it in a brown bag with an apple and sooner than later your avocado will be ready to enjoy! 10. Write down recipes. If you’re like me and cook most meals based on what’s in your fridge, you should ALWAYS write down your ingredients and method of cooking – especially if a meal comes out tasting delicious! This way, when you want to make that same meal 3 weeks later, you know exactly what ingredients you need and what you need to do. This has saved me multiple times, especially when it comes to sharing new creations on this blog! If you want to learn more about how to set yourself and your kitchen up for healthy eating, please check out this post I wrote on “Preparing for a week of healthy eating”. Have a tip/trick you use in the kitchen? I would love to hear about it in the comments below! Tags: apples, compost, efficient, freezer, healthy living, jars, kitchen, kitchen tips, parchment paper, practical, quick tips, recipes, save time, save time in the kitchen, tips, tricks, tricks in the kitchen. Bookmark the permalink.